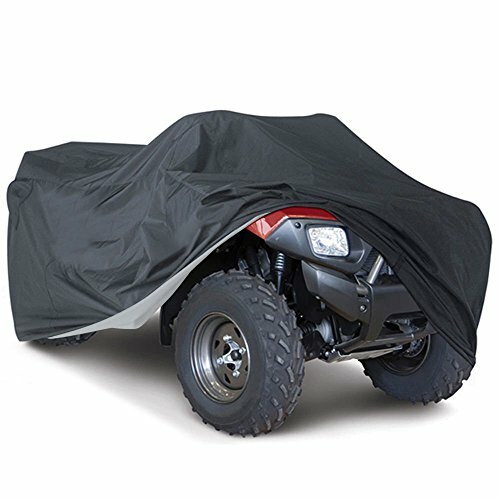 This ATV cover is made of 180T polyester taffeta, with waterproof processing. It is lightweight and easy to carry. With a storage bag, it can be folded into it when not in use. It is really a good choice for your gear.